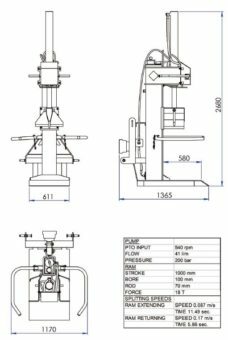 Providing up to a massive 30 tons of pressure! 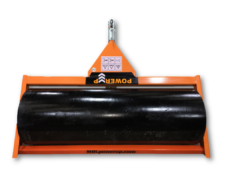 Made with a heavy section beam to ensure no twisting or distortion can occur even when the toughest tasks are put in front of It! 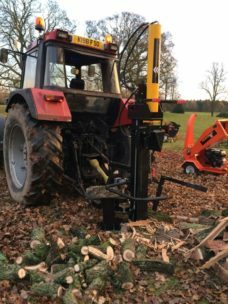 The machine has a log lift to help split those logs that are simply too heavy to lift. 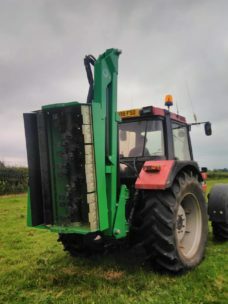 With it’s own hydraulic pump and tank, virtually any tractor can power this beast of a splitter! 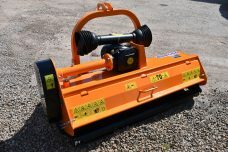 The MDL Mega splitter 37Ton packs a massive splitting punch, complete with a 2 or a 4 way splitting head, towable with a 15hp Petrol mounted engine. Two handled controls for safety operation. 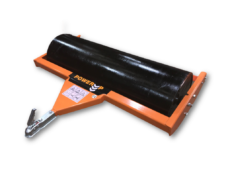 The 37Ton splitter uses a bigger ram which has a larger volume of oil therefore splits larger logs. 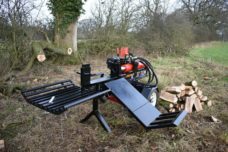 This machine has a table to catch the split logs along side a hydraulic log lift to pull up those large log that are simple to heavy to lift. No need for straining your back with this new machine! 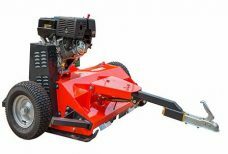 Available with a Petrol or Diesel engine. The BHM225 is a great addition to the BHM range of backactors. 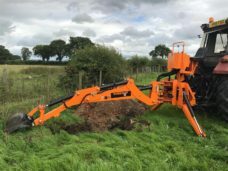 Designed to replace the need for an expensive 1.5ton digger this backactor has a great digging depth of 2.25M/7ft5. 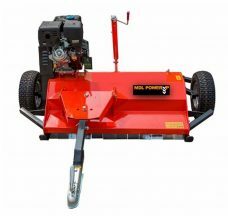 Like it’s smaller siblings it has its own hydraulic system but creates an impressive 160 bar of pressure enabling 1.7tons of ripping force. 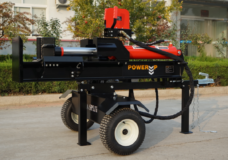 The machine comes with a two free buckets, either 300mm, 400mm or 900mm wide or alternatively a grab attachment for lifting boulders/logs etc. 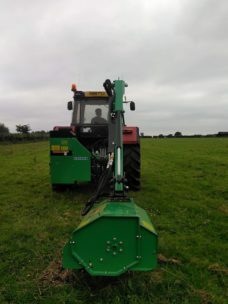 A strongly built machine that is ideal for digging ditches, founds, ponds etc. 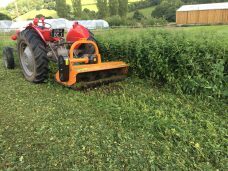 Welcoming our NEW hedge cutter. Available with both cable controls, or Electric proportional Controls. 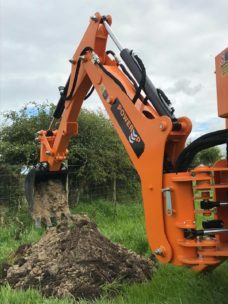 Designed by UK engineers, the machine uses Casappa Hydraulic components, as well as its electronic controls being supplied by a local company in Cumbria. 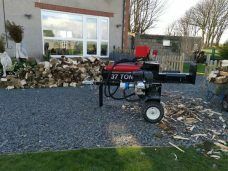 The MDL Mega splitter 37Ton packs a massive splitting punch, complete with horizontal or vertical position, towable with a 15hp Petrol mounted engine. Two handled controls for safety operation. 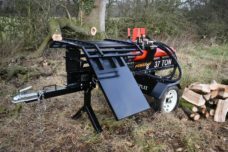 The 37Ton splitter uses a bigger ram which has a larger volume of oil therefore splits larger logs.